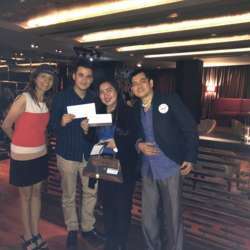 MO Bar @Mandarin Oriental Jakarta. 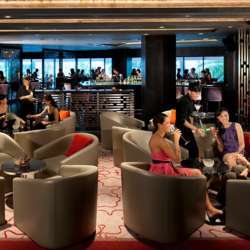 The MO Bar at Mandarin Oriental Jakarta exudes a seductive, chic style. Serving their own exotic cocktail creations, complimented with delectable bar snacks, MO Bar exemplifies the best of Jakarta's bar and lounge experiences. Situated on the second floor- directly above the hotel lobby- the bar overlooks the busy junction of Jl. Thamrin and beyond to the Grand Indonesia Mall area. Happy Hour Deal : Buy One Get One on selected drinks (wine, beer, spirits) and bar snacks all night long. Enjoy live music by Fortune Band with theme : "I Love the 80's"
Win two Lucky Draw Prizes sponsored by Whats New Indonesia. Get ready for some fun, drinks, snacks, chats and social time! Feel free to bring your friends, co-workers and relatives, but please invite them to register for InterNations first. 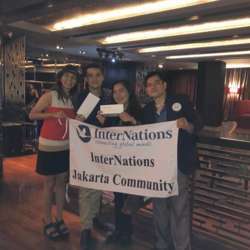 Let's keep growing the InterNations community in Jakarta together!